Authentic Brazilian Jiu-Jitsu for adults and kids in Natick, MA. Call 339-222-6731 to schedule your free, private intro lesson. Get Started! 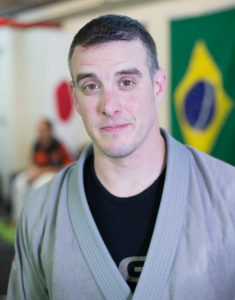 Professor Justin Schulman has been studying Brazilian Jiu-jitsu, no-gi grappling, Muay Thai and Judo for more than 16 years. He received his black belt (Faixa Preta) in Brazilian Jiu-Jitsu from Master Roberto Maia, of Boston Brazilian Jiu-Jitsu in 2008. When not on the mats, Justin can be found working with fitness clients at Boston Personal Training, located in Sherborn, MA and spending time with his two daughters at their home in Natick. Schedule your free, private intro lesson today and get a free trial week of classes!